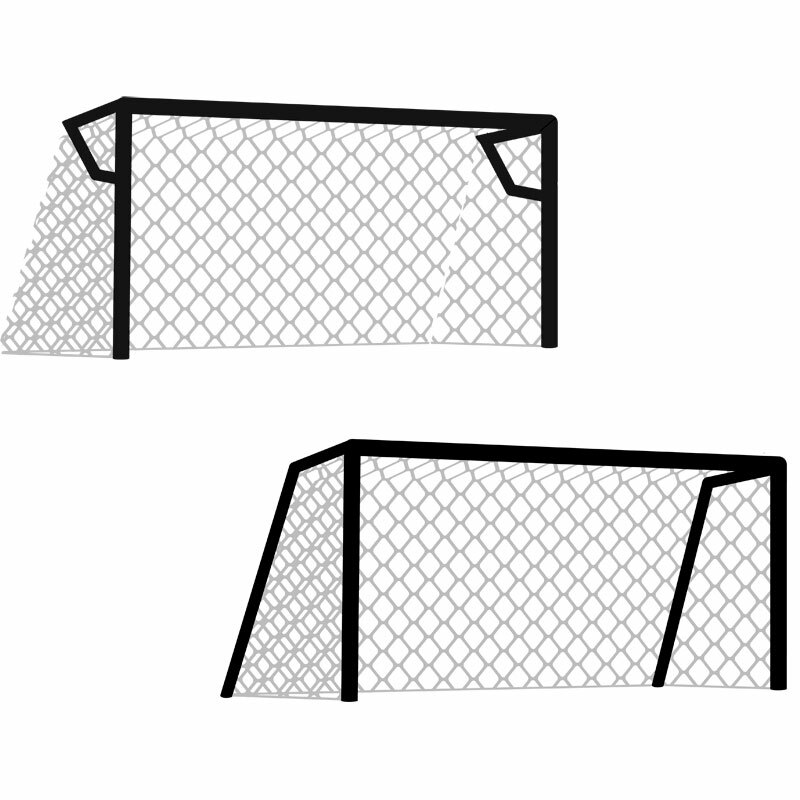 The Harrod Sport ® Standard Profile Football Nets 24ft x 8f designed for use with goals where elbow brackets are being used to support the net. 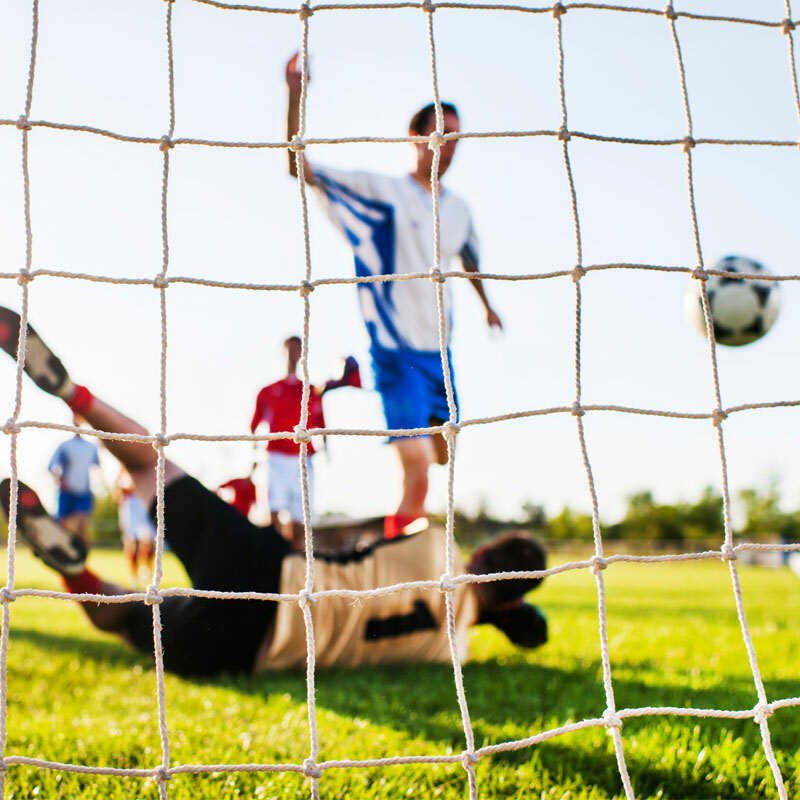 Nets are designed to fit goals measuring 7.32m x 2.44m (24ft x 8ft). Manufactured from 2.0mm, 2.3mm, 3.0mm or 4mm thick polyethylene cord. 2.0mm FP2 Polyethylene net - Harrod Sport code FBL-098. 2.5mm FP1 Polyethylene net - Harrod Sport code FBL-006. Harrod Sport ® Freestanding Heavyweight Steel Football Posts. Harrod Sport ® Socketed Heavyweight Steel Football Posts. Harrod Sport ® Socketed Super Heavyweight Steel Football Posts. Harrod Sport ® Lock Socketed Super Heavyweight Steel Football Posts. 3.0mm FP14 Polyethylene net - Harrod Sport code FBL-003. Harrod Sport ® Socketed Steel Anti Vandal Football Posts. 4.0mm FPX Polyethylene net - Harrod Sport code FBL-002.